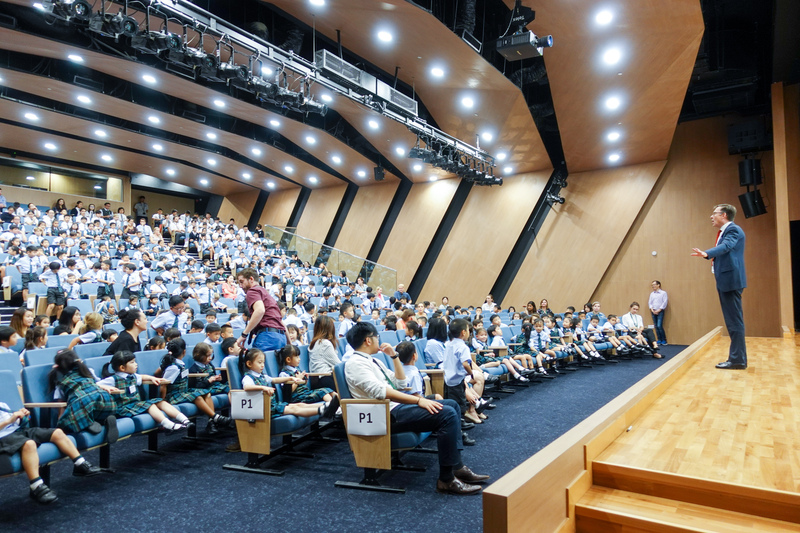 After more than three years of planning, Malvern College Hong Kong (MCHK) officially opened its doors to its first cohort of pupils on 27th of August. The campus was buzzing with excitement as the Prep 1 – 4 pupils arrived, dressed smartly in their Malvern uniforms. Our younger children had arrived a day earlier than the rest of the school so as to begin the process of settling into their new school before the older pupils join the next day. 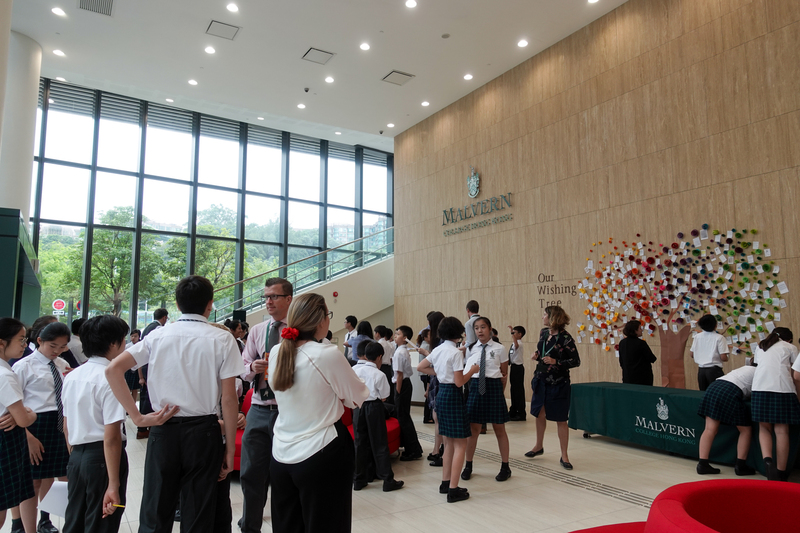 Pupils were greeted by a surprise at the school’s entrance where they found “Our Wishing Tree” which showcased their artwork and detailed their aspirations and the things they would like to achieve during their time at MCHK. Children were led to their classrooms by their teachers and met all their new classmates. The young pupils also had their first school meal at the Grub in their Houses and they ate with their teachers and pupils from other year groups. The 28th of August is the very first day of having a full house at Malvern College Hong Kong and things are in full swing. 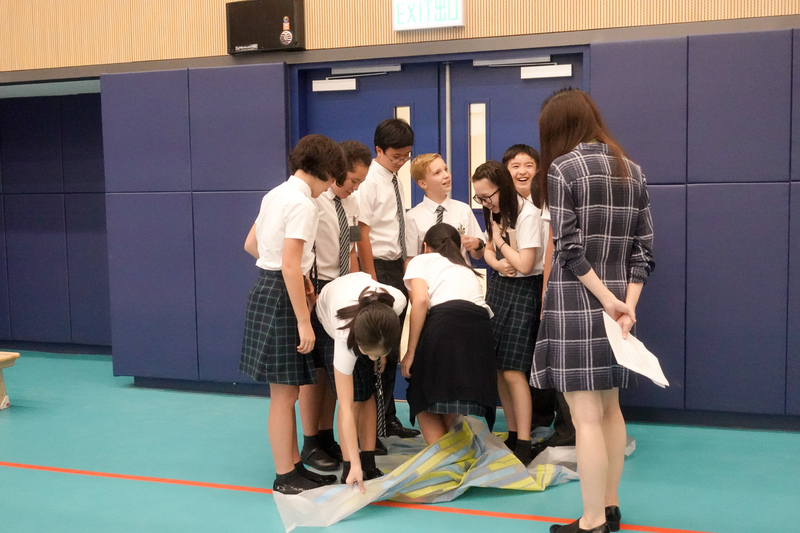 The secondary school pupils began their day with an inter-house scavenger hunt, where they searched the school for clues and hints to answer questions. After some friendly competition, a group from Lewis House was the first to find all the correct answers and was awarded three house points – well done boys and girls! We then had a whole school assembly at the Big School. Dr Lister talked about courage, he asked all the teachers to applaud the bravery of the pupils for facing the new challenge of being in a new school, respectively he also asked all the pupils to give a round of applause to all the teachers that have also demonstrated courage of joining the new school. It was wonderful to see the school community together, both staff and pupils, showing mutual respect and sharing the ethos of Malvern College. The older pupils got themselves busy again with a problem-solving activity, the Amazing Race. They had to devise the fastest route from the Gallery to the Big School, with a classroom being a mid-point. This allowed the pupils to familiarise themselves with the campus as they wrote directions along the way. Before we knew it, lunch time came after a jam-packed morning, and the pupils ate within their Houses with their teachers. The afternoon was no different to the morning and the pupils got involved in collaboration challenges. These team activities demonstrated Malvern qualities and gave pupils the opportunity to develop them. Although the weather has been miserable, our pupils still went home with high spirits and smiles all around.